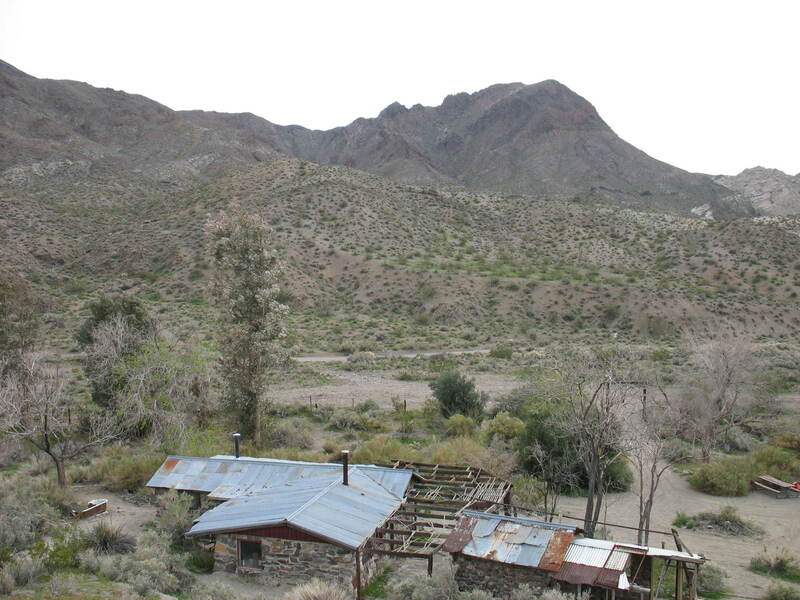 Nestled at the western edge of Death Vally National park sits the last hideout of Charles Manson. Manson, who never murdered anyone with his own hands, was a leader of a cult during the late 1960’s. Many of Manson’s followers are alive today as is Manson himself. 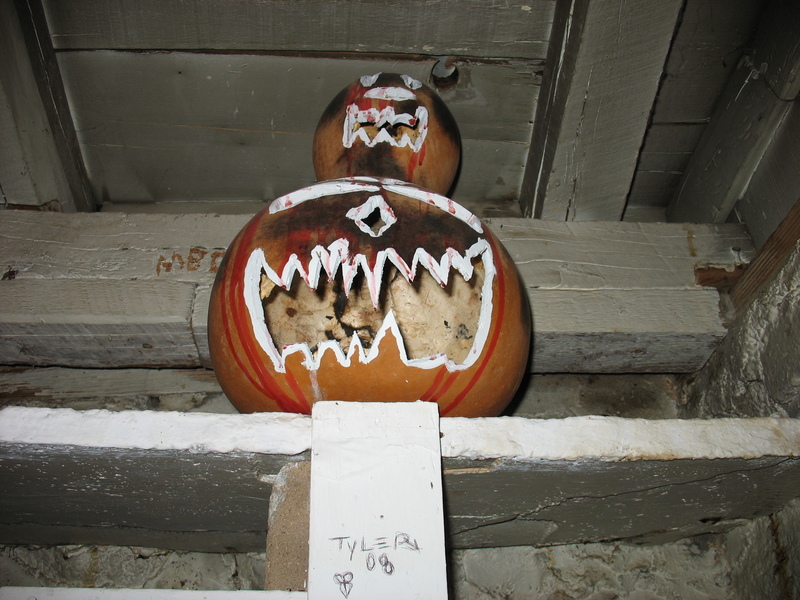 Recently he went before a parole board and was denied for another 15 years. When Manson is up for parole in 2027 he will be 92 years old. Without getting into the grizzley details of the grusome murders that the Manson clan committed, when all was said and done 7 innocent people lost their lives. Fleeing from the police the Manson clan headed 4 hours northeast of Los Angeles to the Panimant Mountain Range. After the last of the murders took place (google LaBianca Muders) the Manson clan left Sphan Ranch having been arrested earlier for leading a car theft ring. Manson and his followers were released due to a botched warrent. 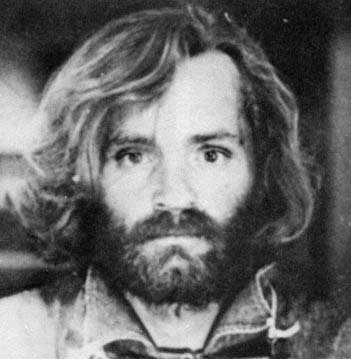 At this time authorities had not linked Manson to the killing spree. This is the dirt road the Manson clan travelled on in order to get to Barker Ranch. Heading through the Panamint Valley side of the Mountain Range, it sits inside the Death Valley National Park. 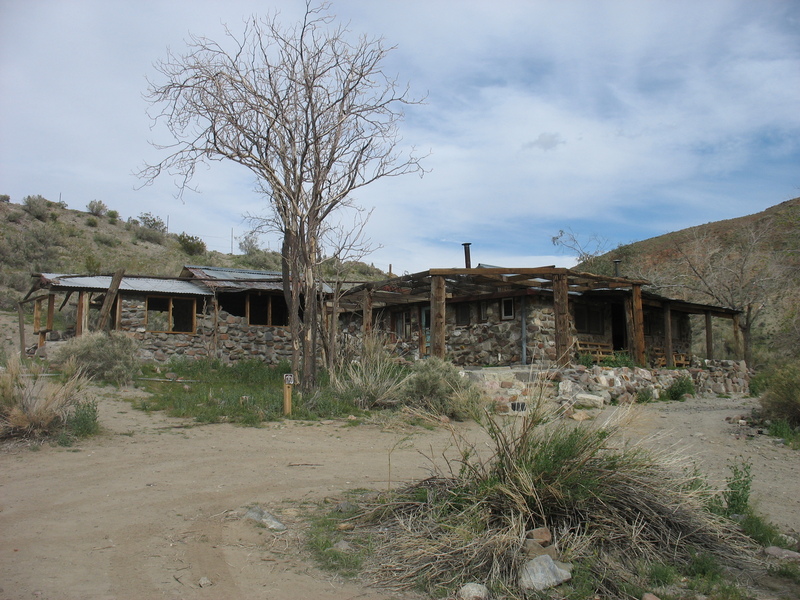 Manson promised his followers that the Ranch would provide them safe haven from a coming apocalypse where they would emerege as leaders of the new America. 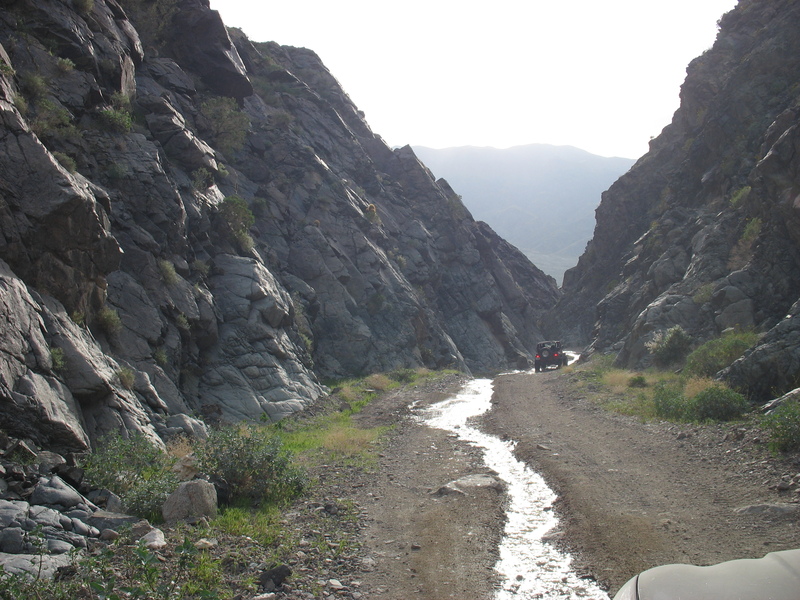 The route climbs through the wash up to the Ranch. There are a few rocky sections but other wise it’s a fairly easy trail. After 30 minutes and one wrong turn we arrived at the Ranch. We parked our rigs and began to explore the area. 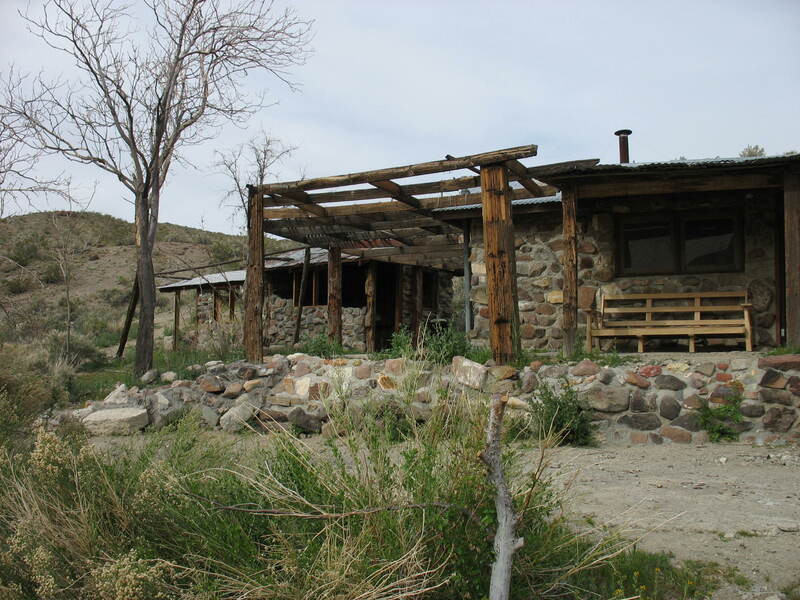 The Barker Ranch was built in the 1930’s by Butch and Helen Thomason. Looking for Gold they left the city to mine in the Panamint Range. 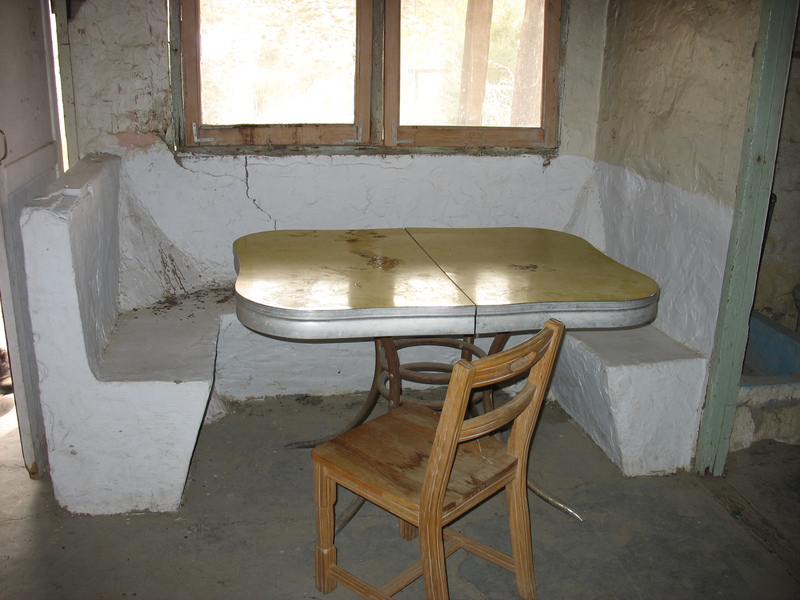 Often times homesteaders during the early 20th century would move to the desert for the dry air, solitude, and pleasant winter weather. Sometime during the 1950’s the Thomason’s sold the ranch to Arlene Barker who moved to California from Oklahoma. 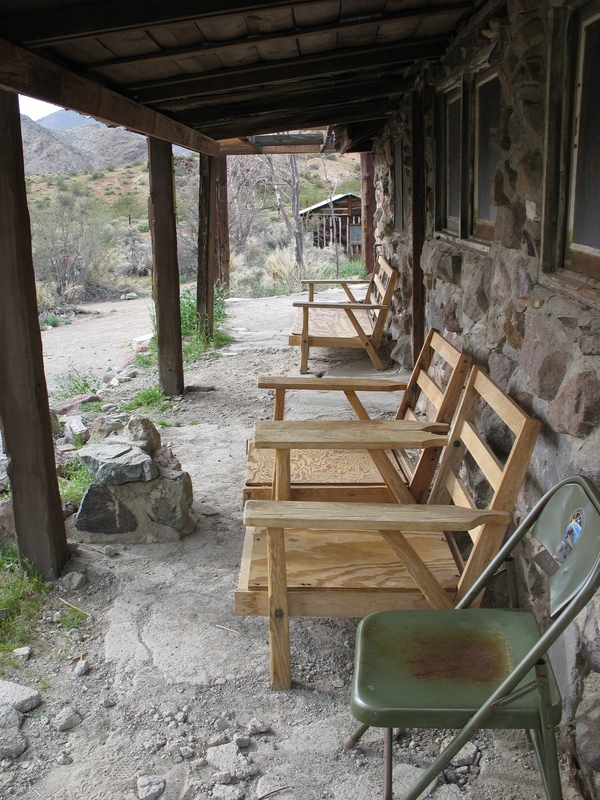 The Barkers added additional structures to the ranch property. This included a concrete “swiming pool” to catch water, fences, and an array of other comforts. 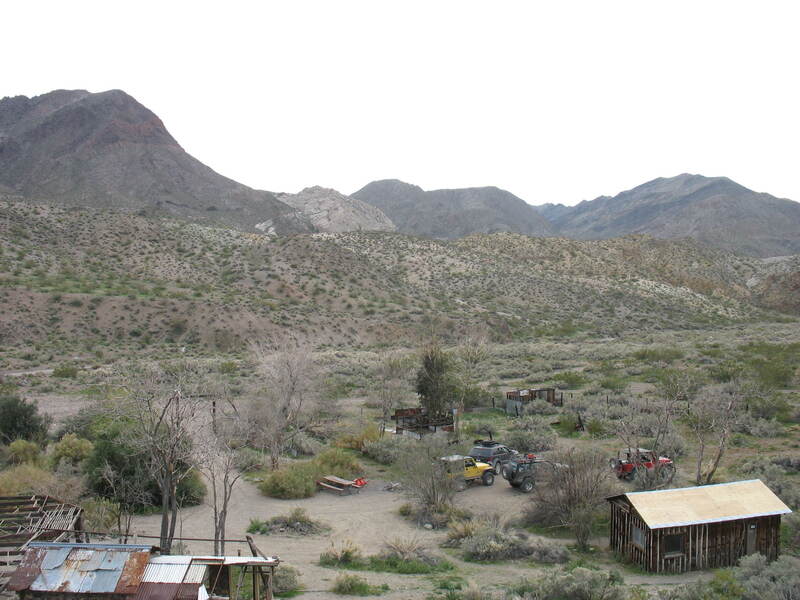 The photos below show the ranch as it appeared in 2009. 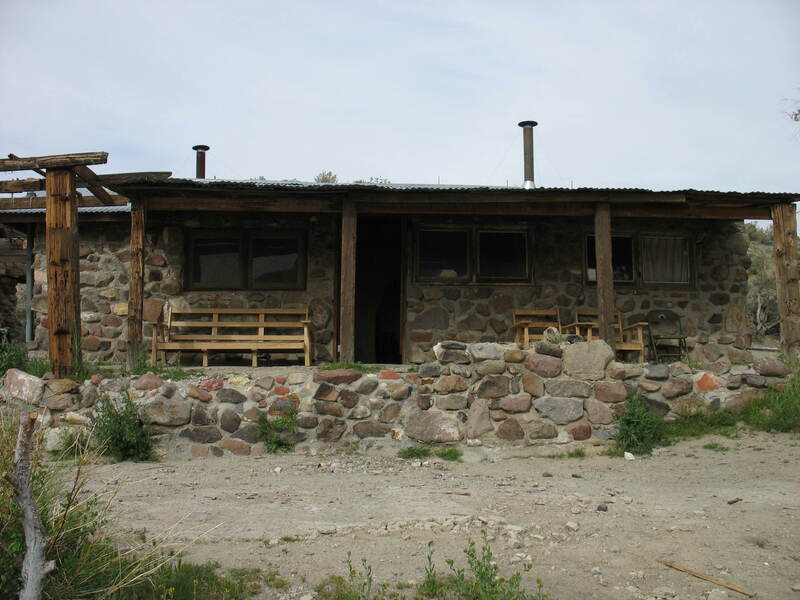 When the Manson’s came to the ranch in 1969 they set up for the long haul. During our visit the interior of the main house was still relativley intact. 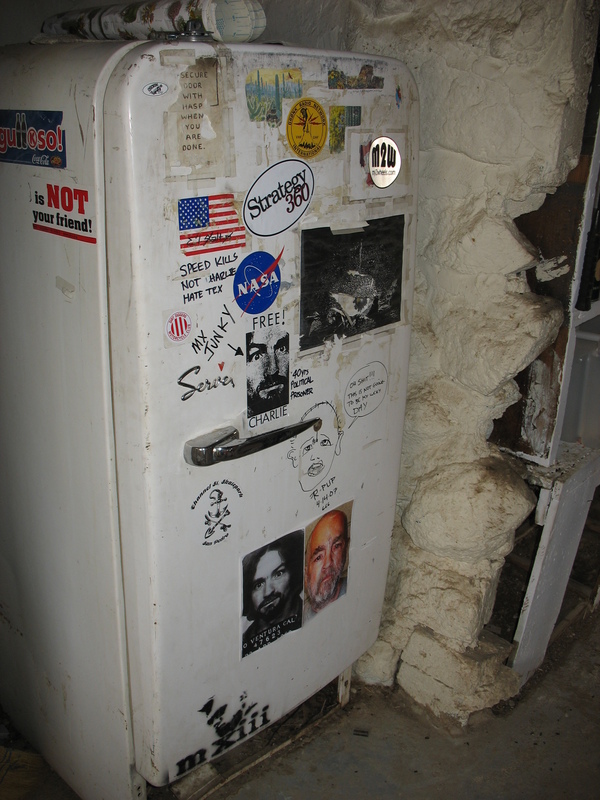 A fridge, couch, bed frames, cabinets we’re left exactly as Manson had left it. 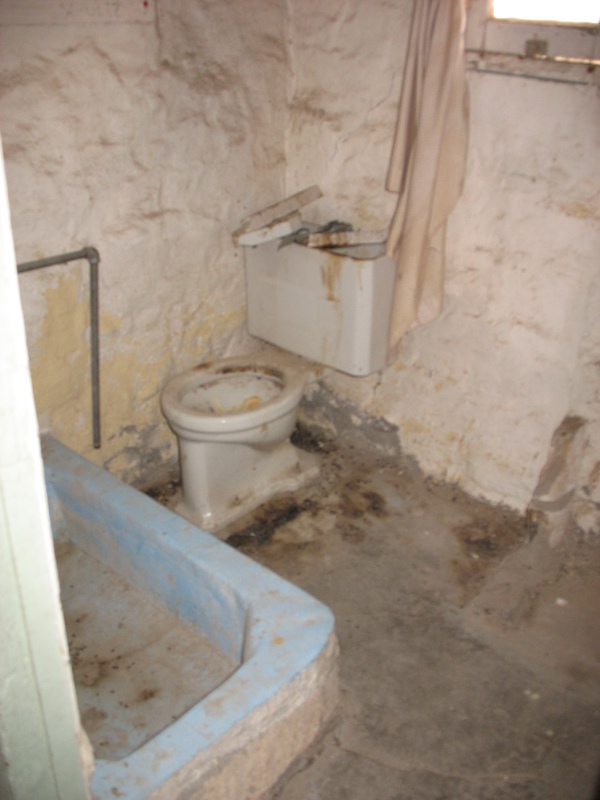 Moving into some of the bedrooms we will see the actual room where Charles Manson was found hiding under the bathroom sink. 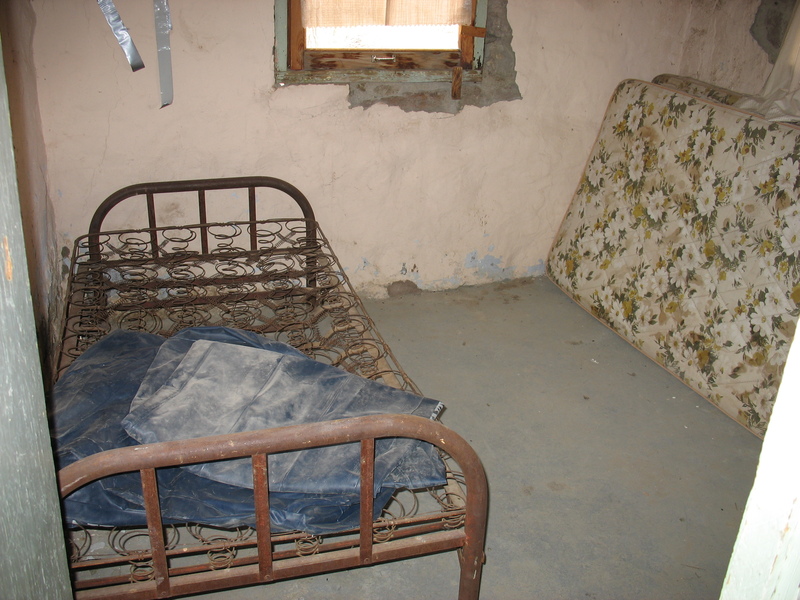 Although long since removed by Manson fans the room is still there with the outline of the furnishings on the wall. 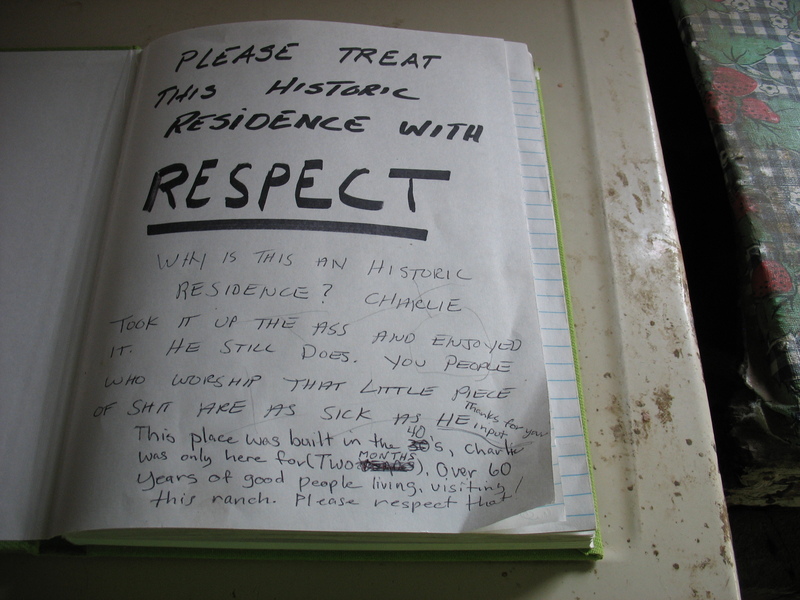 As we walked through the ranch house we signed the guest book. Unfortunatley, shortley after our visit Barker Ranch was burned down. 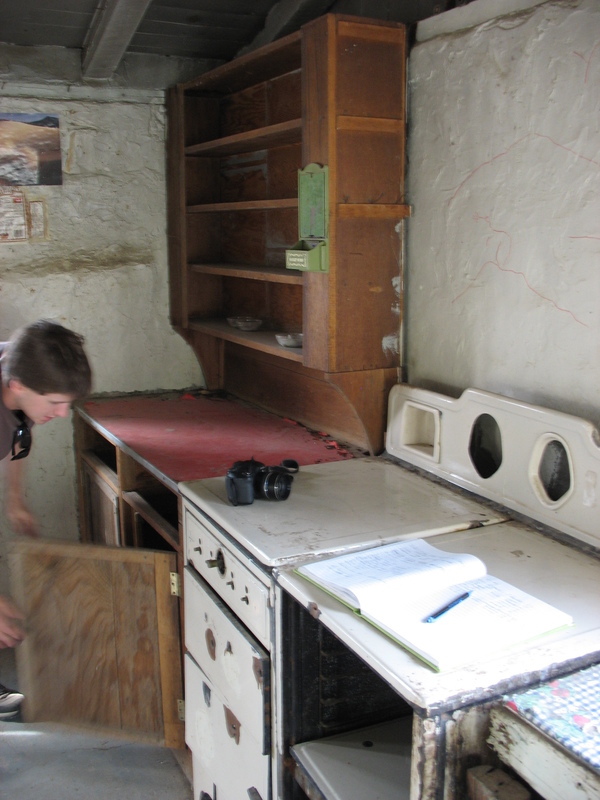 The stove, furniture, fridge, and many other artifacts have been lost forever. If you can still make it to the site many of the outside walls are still standing. It’s still worth a trip. The canyon drive is beautiful and was featured last year in the American version of Top Gear. 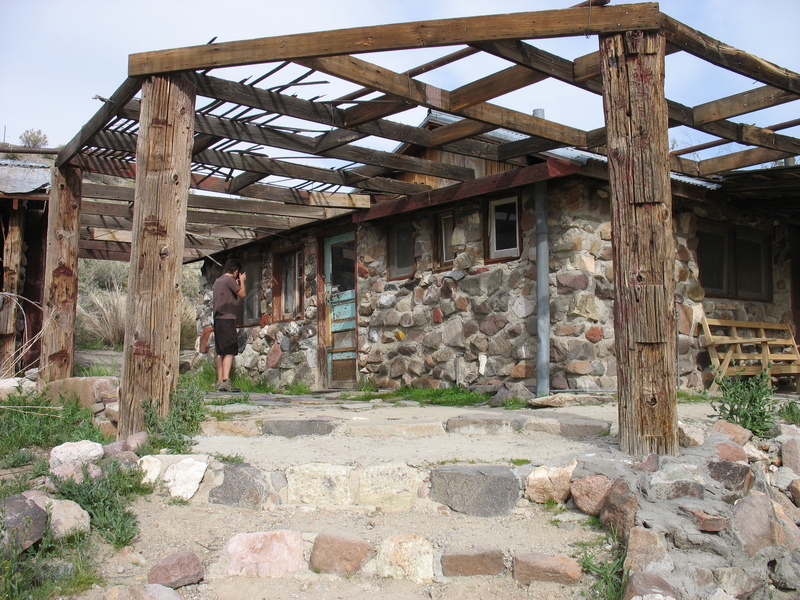 We exited the ranch house and walked up the hill to get a final look at the property. 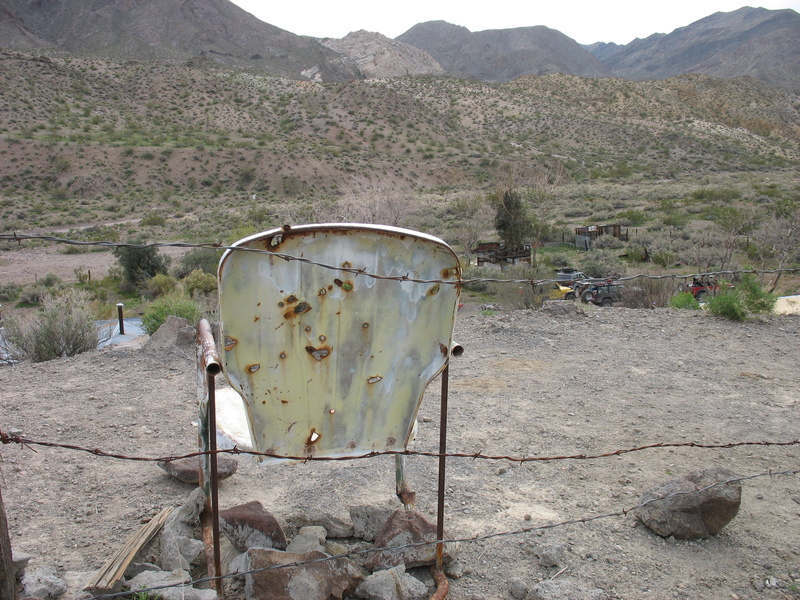 We found a chair perched on a hill…pherhaps Manson or one of his followers sat here to keep a look out for the police. 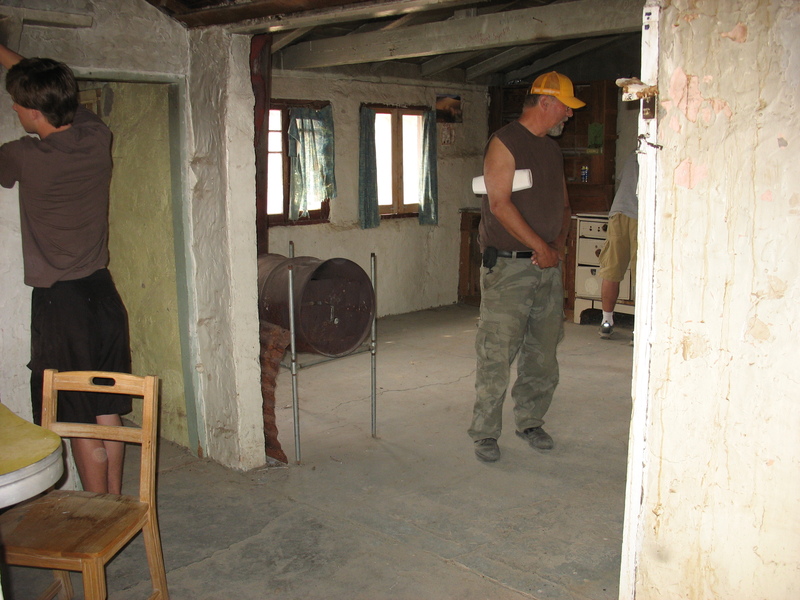 It is important to remember that the Manson family occupies but a small portion of the rich history of the ranch. It was someones home. I’m sure when the original owners moved onto this land they imagined that this ranch would be a place for their children and grand children to enjoy. As much as you wouldn’t believe your house could become as dilapidated as this, they could not either. 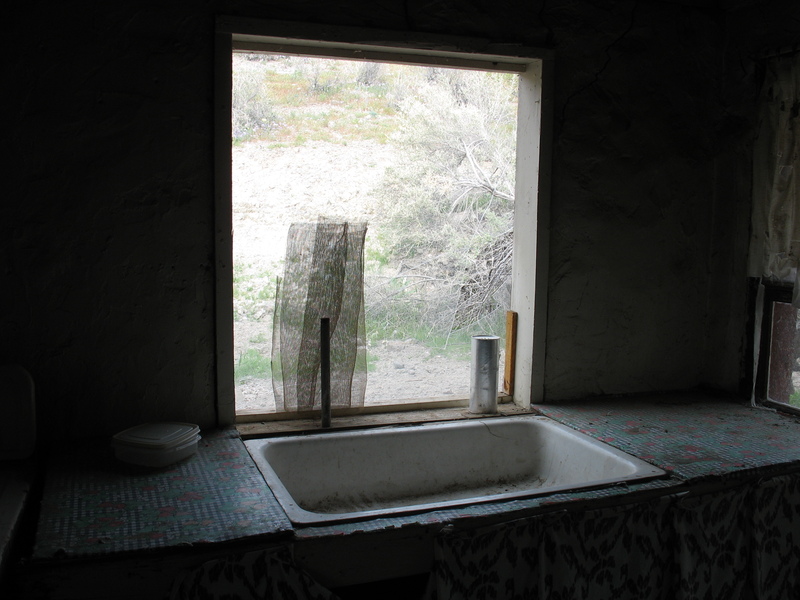 When you are out in the desert and run across a shack or remenants of a homestead…remember….that was once someones home….someones own piece of the American dream. Treat it as you would treat your own home. One of my favorite activites to do in the desert is to lay in my camping chair and stare up at the night sky. 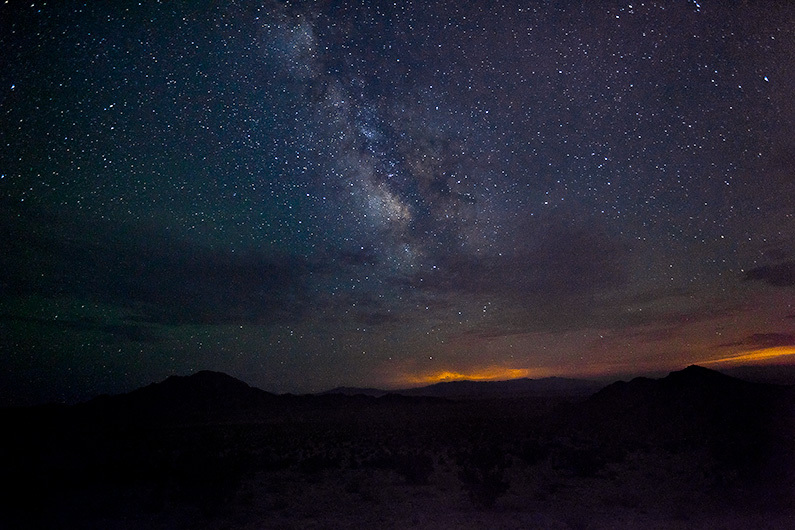 The middle of the Mojave is one of the best places sky watch. There are no city lights, no pollution, and you have an endless horizen free of trees and mountains. 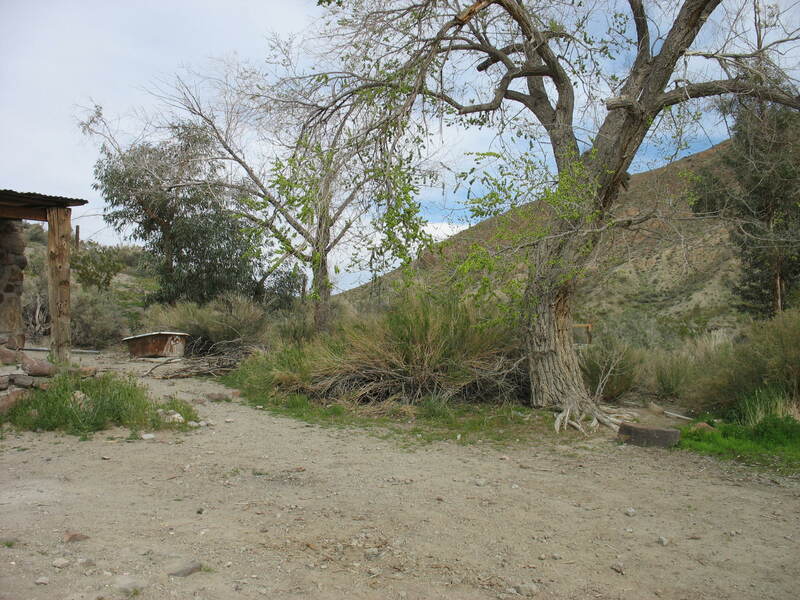 Take a look at the image below and you can get a taste of what you can see when you are in the Mojave. After the jump watch the video!!! Growing up I would pick a star and wonder if a world was oribitng around it. Was it a planet? Was someone else looking up from their sky and wondering what Earth was? Do we look like a star to them? What those questions in mind I went to Mrs. Diaz’s 5th grade class (My Mom) and taught a lesson on Mars Exploration. The students designed and planed a mission to Mars. They designed their vehicle, base, and return trip. Hoping to inspire their learning I travelled out to Johnson Valley and Soggy Dry Lake Bed in the Mojave Desert with a few friends. Please watch and enjoy!